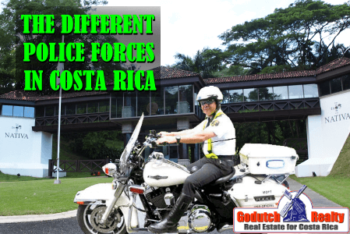 When moving to Costa Rica or just visiting you will need to change money for your day to day expenses. Often, clients ask if it is difficult to change money and if it is really necessary. The legal currency in Costa Rica is the Colon. Nonetheless, U.S. dollars are used for more expensive items like cars and homes. 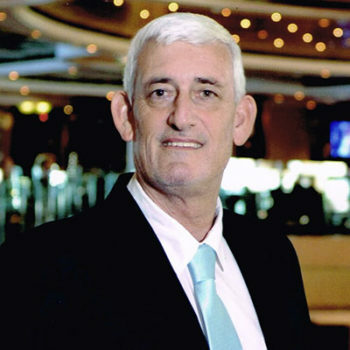 You will need colones to pay for everything that you buy in the store, the restaurant, the movie theater and elsewhere. U.S. dollars are widely accepted almost everywhere, but it is not recommended to use them to pay your purchases. Canadian dollars, Euros, and other currency are almost impossible to exchange anywhere unless you do it at the airport. The exchange rate of the Colon is not regulated but referenced by the Central Bank, which you can check here. It’s like gas prices in other countries, banks have their own exchange rate. When you arrive at SJO airport or LIR airport, you’ll find several currency exchanges, all run by Global Exchange. Here, you will be able to change money from many countries without any problems. If you carry Euros or other currency than the US dollar, change it NOW. You might not have much of a chance again soon. Global Exchange also gives you the opportunity to request to change money online ahead of your trip. You can then collect and pay at their branches. When you pre-order, you get 5% off. There IS a difference in the exchange rate between both airports, so check first. You can also change money at any public or private bank. At most banks, you will have to stand in line for a while, so bring a book. 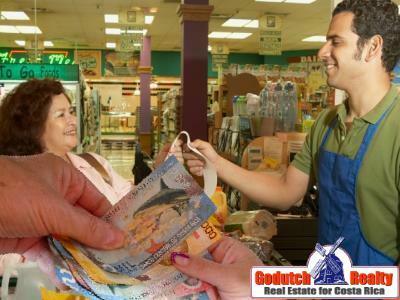 You will find a bank to change money in any midsized town. Be aware that in most smaller beach towns there are no banks, although you will find an ATM machine in some. 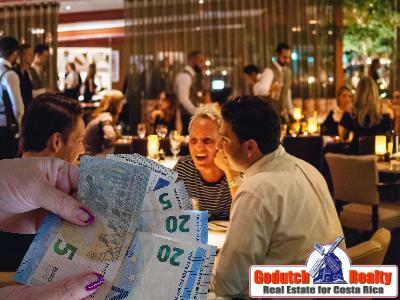 Stores, restaurants, and commerce in general, especially in tourist locations, will take your US dollars (no other currency). Often, they will give you A BAD EXCHANGE RATE. For that reason, you want to change money at the airport or in a bank. The only reason you should pay in dollars is when the price is in dollars. That will happen in hotels, tours, renting a car, renting a house or buying a property or a car. You don’t want to pay the property or the car with cash either, due to money laundering laws. 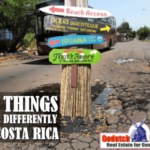 Ask your GoDutch agent how to get your money to Costa Rica and pay. 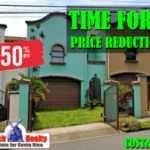 Planning to rent short-term or long-term? Rents are usually in U.S. dollars. 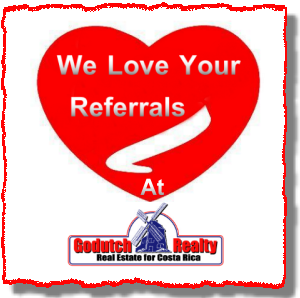 Talk to our rental agent first. 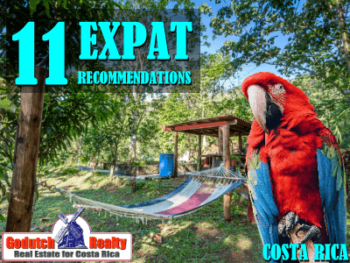 You will want to bring cash money for the security deposit and first month. Do NOT bring a U.S. check. Those will take at least 20 days to clear. Landlords will not accept your credit card. 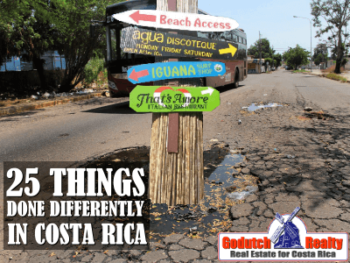 Not all credit cards are accepted in Costa Rica. Visa and MasterCard are the most accepted credit cards. American Express is less common. By using your credit card to pay, you do not have to change money all the time. You usually get a very good exchange rate by paying with your credit card. When you pay, make sure they charge colones, not dollars. There are also ATM machines all over the country. 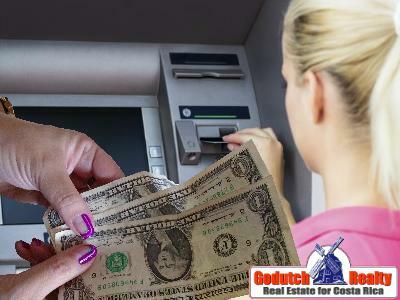 You can make a cash withdrawal in colones so you don’t have to change money. 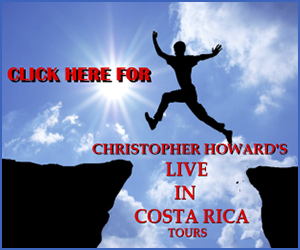 Don’t forget to tell your credit card company you’ll be traveling to Costa Rica. Because they will flag the use of it in a foreign country immediately. Traveler’s checks are not used much anymore. They are very difficult to change. 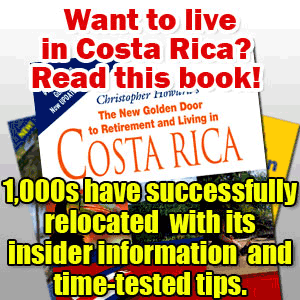 A Costa Rican bank will allow you to change a max of $500 a day. 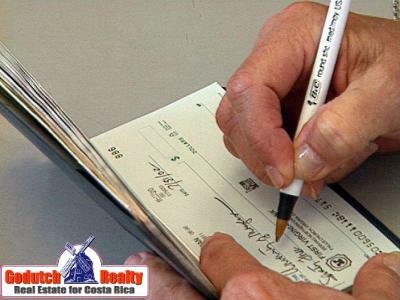 A traveler’s check deposited in a Costa Rican bank account will take about 40 days to clear. Therefore, you cannot pay your rent with traveler’s checks. Yes, you will need some local change while traveling. There will be plenty occasions that you will have to give a tip somewhere. You should do so in local currency. 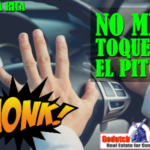 You will need to give small change for example to a Guachiman who is keeping an eye out for your car on the street. In restaurants, the tip is already included. But if the service is outstanding, it is appreciated to add some small change as an extra tip. 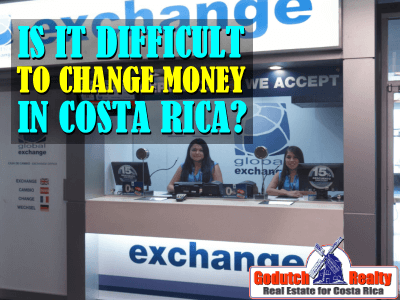 If you live in Costa Rica, you can have a bank account in colones and one in dollars. This way, depending on the exchange rate of the colon, you can change money at your own convenience. When you earn U.S. dollars, and you need a loan or mortgage, get it in U.S. dollars. 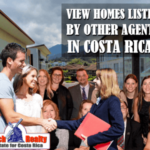 If you earn colones, get the loan or mortgage in colones. 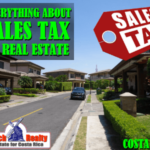 Let me remind you, we rent and sell real estate in the Central Valley. For any showings, please contact us, at your convenience.